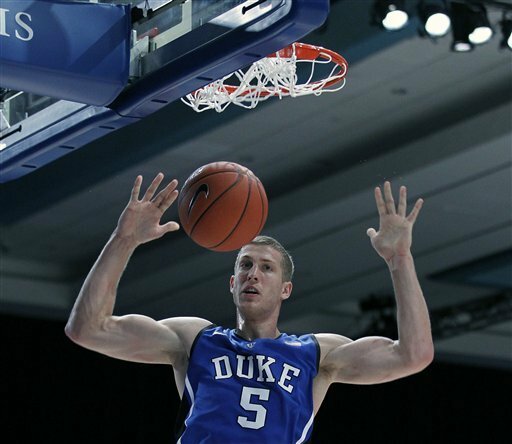 #5 DUKE 67, VCU (Rams, 31,899 students, Richmond, VA) 58 - Mason Plumlee had 17 points and 10 rebounds to lead No. 5 Duke to a victory over the Rams on Friday night in the semifinals of the Battle 4 Atlantis in the Bahamas. Plumlee, who had 20 points and 17 rebounds in the opening-round win over Minnesota, brought the ball across midcourt several times in each half to help the Blue Devils withstand the pressure defense VCU calls "havoc." Recap. VIRGINIA TECH 87, Appalachian State (Mountaineers, 17,500 students, Boone, NC) 76 - Virginia Tech used a career-high 27 points from point guard Erick Green to outlast Appalachian State in a nonconference game on Friday afternoon at Cassell Coliseum. With the win, the Hokies moved to 5-0 on the season. The Hokies are 5-0 for the first time since the 1984-85 season. The Hokies struggled somewhat against Appalachian State for the better part of 30 minutes. The Mountaineers, picked to finish fourth in the Southern Conference's North Division, trailed just 60-58 after a 3-pointer by Nathan Healy with 10:41 remaining. Recap. CLEMSON 69, UTEP (Miners, 21,011 students, El Paso, TX) 48 - Clemson (3-1) made 10-of-12 three-point goals in the opening half to propel the Tigers to a 69-48 victory over UTEP in the second round of the Old Spice Classic at HP Field House. 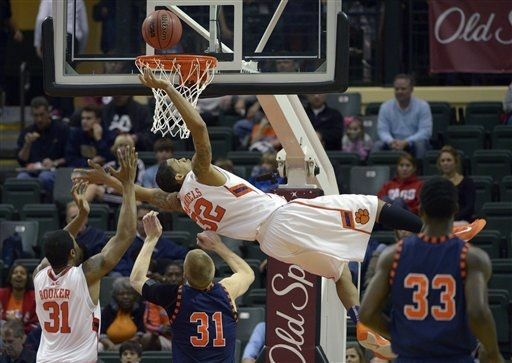 The Tigers finished the game hitting 75 percent of their three-point attempts, 12 out of 16. The percentage was fifth-best for a single game in school history and was a Old Spice Classic record. Clemson also moved to 15-1 all-time under Head Coach Brad Brownell when holding its opponent to 50 points or less. Clemson had three players in double figures, led by Milton Jennings, who had a season-high 18 points. He made 5-of-8 field goals, including 4-of-5 from three, and all four of his free throw attempts. He added seven rebounds. K.J. McDaniels added a career-best 17, making 6-of-8 overall and all four of his three-point attempts. He added six boards. Adonis Filer reached 10 points for the second straight game. Recap. #16 N.C. STATE 82, UNC Asheville (Bulldogs, 3,609 students, Asheville, NC) 80 - Richard Howell scored 23 points, including the go-ahead basket with 3:06 left, to help No. 16 North Carolina State rally past UNC Asheville 82-80 on Friday night. Howell finished with 15 rebounds and also knocked down two free throws with 5 seconds left to secure the win for the Wolfpack (4-1), who finally shook free of the Bulldogs late after trailing most of the way. 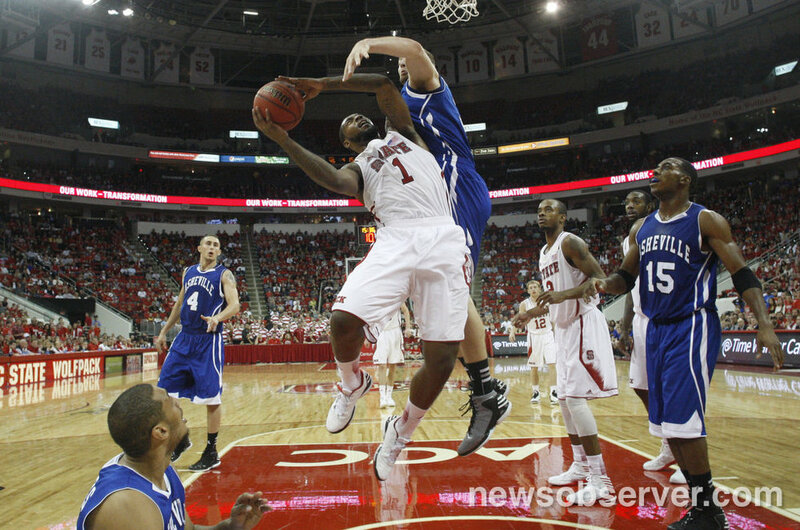 UNC Asheville (1-5) led by seven with 8 1/2 minutes left before N.C. State finally inched ahead, pushing in front when Howell corralled a deflected pass and scored in the paint while drawing an intentional foul. Scott Wood added 14 points, including a pair of clutch jumpers in the final 3 minutes that helped N.C. State hold on. Recap. 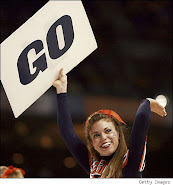 WAKE FOREST 63, William & Mary (Tribe, 6,071 students, Williamsburg, VA) 57 - C.J. Harris scored 18 points, 10 of them in the final seven minutes of the game, as Wake Forest erased a 13-point first-half deficit to take down William & Mary on Friday evening at Joel Coliseum. The Tribe (3-2) started fast and held as much as a 24-11 lead midway through the opening period, but the Demon Deacons (3-2) slowly clawed their way back into the game, retaking the lead on a Chase Fischer layup with 9:50 left. Joining Harris in double figures was Travis McKie, who finished with 15 points and six rebounds. Freshman Aaron Rountree III had the best game of his young career, filling the stat sheet with seven rebounds, five blocks and two steals to go with four points. Recap. California (Bears, 35,899 students, Berkeley, CA) 68, GEORGIA TECH 57 - Justin Cobbs scored 17 points, Richard Solomon got six of his 12 points down the stretch to help fuel a pivotal rally and California beat Georgia Tech on Friday night to advance to the championship game of the DirecTV Classic. Allen Crabbe added 13 points and five assists for Cal, which is off to a 5-0 start. Mfon Udofia had 16 points and Kammeon Holsey came off the bench to score 14 for Georgia Tech (3-1), which shot 39 percent from the field, was 2 of 15 from 3-point range and was outrebounded 41-29. Recap.